The above photographs show changes to The Rose & Crown over the last century. Note the old telephone pylons. The pub in those days was on the main London to Hastings road, later named the A21 and subsequently bypassed by a new trunk road. 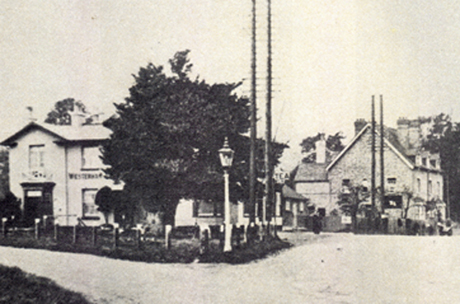 The pub present day is still on London Road which is now a quiet country lane. The large house behind the Rose & Crown was later demolished. The site is now a garage. 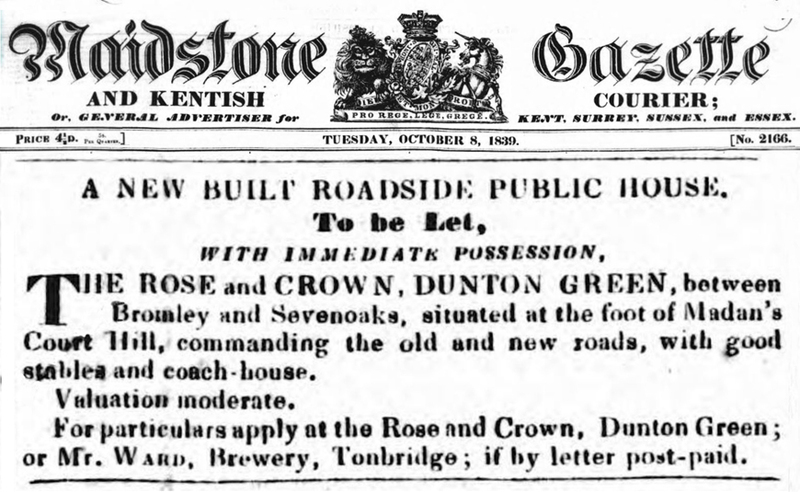 The newspaper extract below dates from when the Rose & Crown was built in 1839.